From a possible cure for Aids to a new discovery of quasiparticles, 2008 brought with it important scientific and medical advances as well as great disappointments such as the unexpected malfunction of the Large Hadron Collider, which postponed the multi billion dollar scientific enterprise by several months. Continuing our annual tradition since 2006, TFOT presents a summary of the passing year’s most remarkable discoveries, innovations, research, and applications in science, medicine, and space. One of the most important scientific events of 2008 was the completion of the Large Hadron Collider in September. However this joyful event was quickly overclouded by the malfunction in the collider which forced it to be shut down for lengthy repairs (currently scheduled to last until the summer of 2009). As we do every year, TFOT covered the announcements of the winners of the science Nobel Prizes including the 2008 Nobel Prize in Physics, which was awarded to Yoichiro Nambu of the Enrico Fermi Institute in the University of Chicago, Makoto Kobayashi of the High Energy Accelerator Research Organization in Tsukuba, Japan, and Toshihide Masakawa of the Yukawa Institute for Theoretical Physics in Kyoto University, Japan. 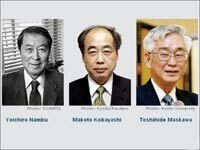 Yoichiro Nambu won his portion of the award for discovering the mechanism of spontaneous broken symmetry in subatomic particle physics, and Makoto Kobayashi and Toshihide Maskawa won their portions of the award for predicting the existence of at least three different families of quarks. We also covered the announcement of the 2008 Nobel Prize in Chemistry which was jointly given to Osamu Shimomura, Martin Chalfie and Roger Y. Tsien “for the discovery and development of the green fluorescent protein, GFP” – a remarkable brightly glowing green fluorescent protein first observed in the beautiful jellyfish, Aequorea Victoria, in 1962. TFOT covered several intriguing scientific research studies in 2008, including one conducted by a team of Italian physicists, part of the OBELIX collaboration, who used data taken from CERN, and after careful analysis reported a surprising finding: a good fraction of a low energy antimatter beam directed at a normal matter wall bounced right back. 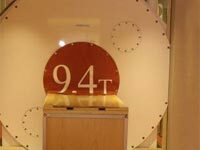 Another physics research project conducted in Europe at the Max Planck Institute for Radio Astronomy showed that there has been practically no variation in the proton-electron mass ratio over the last six billion years. This result complies with the Standard Model of particle physics and reinforces similar results obtained by other experiments conducted in previous years. In May 2008 TFOT covered a research project conducted at Princeton University that uncovered part of the mechanism that transforms matter into a high-temperature superconductor – a medium that conducts electricity without resistance-related energy loss. This mechanism, which has eluded scientists for over 20 years, seems to contradict logic and its discovery may revolutionize the way we distribute electrical power, build electric cars, and construct super fast magnetic levitating trains. In June 2008 TFOT covered an additional breakthrough, this time in particle physics. Scientists from the Weizmann Institute of Science in Israel demonstrated, for the first time, the existence of quasiparticles with one quarter the charge of an electron. These quasiparticles are formed from the interactions of multi-particle systems, and act effectively as independent particles. The quasiparticles are known for having a fraction of the charge of an electron, but until now all the quasiparticles that were discovered had an odd denominator. The special attribute of an even denominator in these recently discovered quasiparticles may be the first step towards powerful and stable quantum computers. In 2008 we covered many space related news and PODs. 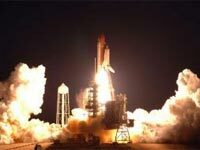 We covered NASA’s four space shuttle missions to the ISS, including STS 122, STS 123, STS 124 and STS 126 (STS 125 will be the final servicing mission to the Hubble Space Telescope and is currently scheduled for May 2009). We also looked at several other NASA projects including the launch of the IBEX mission to the outer solar system, the test of a new Lunar rover in Arizona and the plans to develop a new nuclear generator for the Moon as well as the failed attempt to launch NASA’s solar sail mission, NanoSail-D, in August 2008. We covered several astronomy and cosmology related news stories including a monster flare unleashed by a Pipsqueak Star, a strange ring found circling a dead star, an exploding star caught by the Swift satellite, and the way smaller stars help bigger stars to form. In 2008 TFOT covered numerous medical related news stories. We looked at several medical imaging related stories, including the world’s strongest MRI and the first low-intensity MRI scan of a human brain. We looked at many new advances in Alzheimer’s disease including a new treatment which might slow the progress of mild to moderate Alzheimer’s disease by 81%, and the first pivotal clinical trial of Dimebon in Alzheimer’s disease. TFOT examined several AIDS related studies including a possible cure for AIDS – discovered as a result of a German patient from Berlin with leukemia who underwent a bone marrow transplant and has now been AIDS free for two years. We also covered a research study conducted by two American groups that found a gene that may influence the production of antibodies that neutralize HIV. The human immunodeficiency virus (HIV) was also the subject of this year’s Nobel Prize in medicine – Dr. Francoise Barre-Sinoussi and Dr. Luc Montagnier won the prestigious prize for their discovery of the HIV virus in the early 1980s. TFOT covered several advanced electronic pills including Philips’ smart pill that can deliver drugs to specific places as well as a special magnet controlled camera shaped like a pill. Another pill (not electronic this time) related story is the exercise pill which is currently under development by scientists from the Salk institute for Biological studies in California and could imitate the effect of exercise on the body. Electronic chips (labs-on a chip) flourished in 2008. 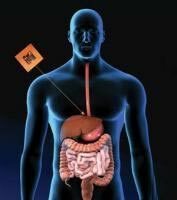 We have covered a lab-on-a-chip made of paper developed by a research group from Harvard as well as an innovative new nano-bio-chip that uses saliva to detect essential biomarkers that are significant contributors to, and thus indicators of, cardiac disease. At TFOT we have always gave special attention to cancer research and 2008 was no exception. This year we covered many new treatments for cancer including microwave cancer therapy developed by researchers from MIT, ultrasound-activated microbubbles for treating cancer currently under development by Philips, a laser microscalpel that can target cancer cells individually and a new cancer vaccination tested by researchers from the Hadassah Medical Organization and the Hebrew University in Jerusalem, Israel. We also covered several cancer detection technologies including a cancer detecting bra, radio sensors that can help detect cancer, developed by a team at the University of Texas, and a technique for diagnosing cancer using breath developed at the University of Oklahoma, as well as a new infrared camera that can help fight cancer by predicting which patients are likely to develop severe side effects as a result of anti-cancer treatments.